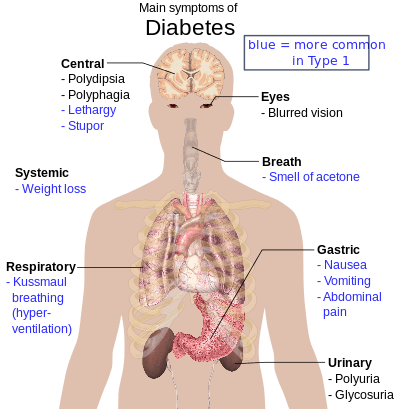 Diabetes mellitus type 2 (also known as type 2 diabetes) is a long term metabolic disorder that is characterized by high blood sugar, insulin resistance, and relative lack of insulin. Common symptoms include increased thirst, frequent urination, and unexplained weight loss. Symptoms may also include increased hunger, feeling tired, and sores that do not heal. Often symptoms come on slowly. Long-term complications from high blood sugar include heart disease, strokes, diabetic retinopathy which can result in blindness, kidney failure, and poor blood flow in the limbs which may lead to amputations. The sudden onset of hyperosmolar hyperglycemic state may occur; however, ketoacidosis is uncommon. Type 2 diabetes primarily occurs as a result of obesity and not enough exercise. Some people are more genetically at risk than others. Type 2 diabetes makes up about 90% of cases of diabetes, with the other 10% due primarily to diabetes mellitus type 1 and gestational diabetes. In diabetes mellitus type 1 there is an absolute lack of insulin due to breakdown of islet cells in the pancreas. Diagnosis of diabetes is by blood tests such as fasting plasma glucose, oral glucose tolerance test, or A1C. Type 2 diabetes is partly preventable by staying a normal weight, exercising regularly, and eating properly. Treatment involves exercise and dietary changes. If blood sugar levels are not adequately lowered, the medication metformin is typically recommended. Many people may eventually also require insulin injections. In those on insulin, routinely checking blood sugar levels is advised, however this may not be needed in those taking pills. Bariatric surgery often improves diabetes in those who are obese. Rates of type 2 diabetes have increased markedly since 1960 in parallel with obesity. As of 2013 there were approximately 368 million people diagnosed with the disease compared to around 30 million in 1985. Typically it begins in middle or older age, although rates of type 2 diabetes are increasing in young people. Type 2 diabetes is associated with a ten-year-shorter life expectancy. Diabetes was one of the first diseases described. The importance of insulin in the disease was determined in the 1920s. The classic symptoms of diabetes are polyuria (frequent urination), polydipsia (increased thirst), polyphagia (increased hunger), and weight loss. Other symptoms that are commonly present at diagnosis include a history of blurred vision, itchiness, peripheral neuropathy, recurrent vaginal infections, and fatigue. Many people, however, have no symptoms during the first few years and are diagnosed on routine testing. People with type 2 diabetes mellitus may rarely present with hyperosmolar hyperglycemic state (a condition of very high blood sugar associated with a decreased level of consciousness and low blood pressure). The development of type 2 diabetes is caused by a combination of lifestyle and genetic factors. While some of these factors are under personal control, such as diet and obesity, other factors are not, such as increasing age, female gender, and genetics. A lack of sleep has been linked to type 2 diabetes. This is believed to act through its effect on metabolism. The nutritional status of a mother during fetal development may also play a role, with one proposed mechanism being that of altered DNA methylation. The intestinal bacteriæ Prevotella copri and Bacteroides vulgatus have been connected with type 2 diabetes. There are a number of rare cases of diabetes that arise due to an abnormality in a single gene (known as monogenic forms of diabetes or "other specific types of diabetes"). These include maturity onset diabetes of the young (MODY), Donohue syndrome, and Rabson-Mendenhall syndrome, among others. Maturity onset diabetes of the young constitute 1–5% of all cases of diabetes in young people. The World Health Organization recommends testing those groups at high risk and in 2014 the USPSTF is considering a similar recommendation. High-risk groups in the United States include: those over 45 years old; those with a first degree relative with diabetes; some ethnic groups, including Hispanics, African-Americans, and Native-Americans; a history of gestational diabetes; polycystic ovary syndrome; excess weight; and conditions associated with metabolic syndrome. The American Diabetes Association recommends screening those who have a BMI over 25 (in people of Asian descent screening is recommending for a BMI over 23. Onset of type 2 diabetes can be delayed or prevented through proper nutrition and regular exercise. Intensive lifestyle measures may reduce the risk by over half. The benefit of exercise occurs regardless of the person's initial weight or subsequent weight loss. High levels of physical activity reduce the risk of diabetes by about 28%. Evidence for the benefit of dietary changes alone, however, is limited, with some evidence for a diet high in green leafy vegetables and some for limiting the intake of sugary drinks. In those with impaired glucose tolerance, diet and exercise either alone or in combination with metformin or acarbose may decrease the risk of developing diabetes. Lifestyle interventions are more effective than metformin. While low vitamin D levels are associated with an increased risk of diabetes, correcting the levels by supplementing vitamin D3 does not improve that risk. Management of type 2 diabetes focuses on lifestyle interventions, lowering other cardiovascular risk factors, and maintaining blood glucose levels in the normal range. Self-monitoring of blood glucose for people with newly diagnosed type 2 diabetes may be used in combination with education, however the benefit of self monitoring in those not using multi-dose insulin is questionable. In those who do not want to measure blood levels, measuring urine levels may be done. Managing other cardiovascular risk factors, such as hypertension, high cholesterol, and microalbuminuria, improves a person's life expectancy. Decreasing the systolic blood pressure to less than 140 mmHg is associated with a lower risk of death and better outcomes. Intensive blood pressure management (less than 130/80 mmHg) as opposed to standard blood pressure management (less than 140/85–100 mmHg) results in a slight decrease in stroke risk but no effect on overall risk of death. Intensive blood sugar lowering (HbA1c<6%) as opposed to standard blood sugar lowering (HbA1c of 7–7.9%) does not appear to change mortality. The goal of treatment is typically an HbA1c of around 7% or a fasting glucose of less than 7.2 mmol/L (130 mg/dL); however these goals may be changed after professional clinical consultation, taking into account particular risks of hypoglycemia and life expectancy. It is recommended that all people with type 2 diabetes get regular ophthalmology examination. Treating gum disease in those with diabetes may result in a small improvement in blood sugar levels. A proper diet and exercise are the foundations of diabetic care, with a greater amount of exercise yielding better results. Aerobic exercise leads to a decrease in HbA1c and improved insulin sensitivity. Resistance training is also useful and the combination of both types of exercise may be most effective. A diabetic diet that promotes weight loss is important. While the best diet type to achieve this is controversial, a low glycemic index diet or low carbohydrate diet has been found to improve blood sugar control. Culturally appropriate education may help people with type 2 diabetes control their blood sugar levels, for up to six months at least. If changes in lifestyle in those with mild diabetes has not resulted in improved blood sugars within six weeks, medications should then be considered. There is not enough evidence to determine if lifestyle interventions affect mortality in those who already have DM2. Vegetarian diets in general have been related to lower diabetes risk, but do not offer advantages compared with diets which allow moderate amounts of animal products. There is not enough evidence to suggest that cinnamon improves blood sugar levels in people with type 2 diabetes. 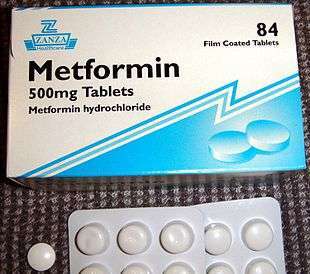 A second oral agent of another class or insulin may be added if metformin is not sufficient after three months. Other classes of medications include: sulfonylureas, thiazolidinediones, dipeptidyl peptidase-4 inhibitors, SGLT2 inhibitors, and glucagon-like peptide-1 analogs. There is no significant difference between these agents. Rosiglitazone, a thiazolidinedione, has not been found to improve long-term outcomes even though it improves blood sugar levels. Additionally it is associated with increased rates of heart disease and death. Angiotensin-converting enzyme inhibitors (ACEIs) prevent kidney disease and improve outcomes in those with diabetes. The similar medications angiotensin receptor blockers (ARBs) do not. A 2016 review recommended treating to a systolic blood pressure of 140 to 150 mmHg. Weight loss surgery in those who are obese is an effective measure to treat diabetes. Many are able to maintain normal blood sugar levels with little or no medications following surgery and long-term mortality is decreased. There however is some short-term mortality risk of less than 1% from the surgery. The body mass index cutoffs for when surgery is appropriate are not yet clear. It is recommended that this option be considered in those who are unable to get both their weight and blood sugar under control. Prevalence of diabetes worldwide in 2000. World average was 28 per 1000 inhabitants. Globally as of 2010 it was estimated that there were 285 million people with type 2 diabetes making up about 90% of diabetes cases. This is equivalent to about 6% of the world's adult population. 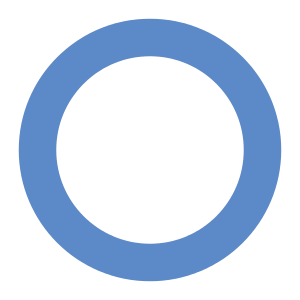 Diabetes is common both in the developed and the developing world. It remains uncommon, however, in the underdeveloped world. 1 2 3 4 5 "Diabetes Fact sheet N°312". WHO. January 2015. Retrieved 10 February 2016. 1 2 3 4 "Causes of Diabetes". National Institute of Diabetes and Digestive and Kidney Diseases. June 2014. Retrieved 10 February 2016. 1 2 "Diagnosis of Diabetes and Prediabetes". National Institute of Diabetes and Digestive and Kidney Diseases. June 2014. Retrieved 10 February 2016. ↑ Pasquel, FJ; Umpierrez, GE (November 2014). "Hyperosmolar hyperglycemic state: a historic review of the clinical presentation, diagnosis, and treatment.". Diabetes Care. 37 (11): 3124–31. doi:10.2337/dc14-0984. PMC 4207202 . PMID 25342831. 1 2 3 4 5 6 7 8 9 10 11 12 13 14 15 16 17 18 Shoback, edited by David G. Gardner, Dolores (2011). Greenspan's basic & clinical endocrinology (9th ed.). New York: McGraw-Hill Medical. pp. Chapter 17. ISBN 0-07-162243-8. ↑ Saenz, A; Fernandez-Esteban, I; Mataix, A; Ausejo, M; Roque, M; Moher, D (20 July 2005). "Metformin monotherapy for type 2 diabetes mellitus.". The Cochrane database of systematic reviews (3): CD002966. doi:10.1002/14651858.CD002966.pub3. PMID 16034881. 1 2 Maruthur, NM; Tseng, E; Hutfless, S; Wilson, LM; Suarez-Cuervo, C; Berger, Z; Chu, Y; Iyoha, E; Segal, JB; Bolen, S (19 April 2016). "Diabetes Medications as Monotherapy or Metformin-Based Combination Therapy for Type 2 Diabetes: A Systematic Review and Meta-analysis.". Annals of Internal Medicine. 164: 740. doi:10.7326/M15-2650. PMID 27088241. ↑ Krentz, AJ; Bailey, CJ (2005). "Oral antidiabetic agents: current role in type 2 diabetes mellitus.". Drugs. 65 (3): 385–411. doi:10.2165/00003495-200565030-00005. PMID 15669880. ↑ Malanda, UL; Welschen, LM; Riphagen, II; Dekker, JM; Nijpels, G; Bot, SD (18 January 2012). "Self-monitoring of blood glucose in patients with type 2 diabetes mellitus who are not using insulin.". The Cochrane database of systematic reviews. 1: CD005060. doi:10.1002/14651858.CD005060.pub3. PMID 22258959. ↑ Cetinkunar, S; Erdem, H; Aktimur, R; Sozen, S (16 June 2015). "Effect of bariatric surgery on humoral control of metabolic derangements in obese patients with type 2 diabetes mellitus: How it works.". World journal of clinical cases. 3 (6): 504–9. doi:10.12998/wjcc.v3.i6.504. PMC 4468896 . PMID 26090370. ↑ Ganguly, S; Tan, HC; Lee, PC; Tham, KW (April 2015). "Metabolic bariatric surgery and type 2 diabetes mellitus: an endocrinologist's perspective.". Journal of biomedical research. 29 (2): 105–11. doi:10.7555/JBR.29.20140127. PMC 4389109 . PMID 25859264. ↑ Lewenson, [edited by] Marie Truglio-Londrigan, Sandra B. (2013). Public health nursing : practicing population-based care (2nd ed.). Burlington, Mass. : Jones & Bartlett Learning. p. 317. ISBN 9781449646608. 1 2 3 Smyth, S; Heron, A (January 2006). "Diabetes and obesity: the twin epidemics". Nature Medicine. 12 (1): 75–80. doi:10.1038/nm0106-75. PMID 16397575. ↑ Global Burden of Disease Study 2013, Collaborators (22 August 2015). "Global, regional, and national incidence, prevalence, and years lived with disability for 301 acute and chronic diseases and injuries in 188 countries, 1990–2013: a systematic analysis for the Global Burden of Disease Study 2013.". Lancet (London, England). 386 (9995): 743–800. doi:10.1016/S0140-6736(15)60692-4. PMID 26063472. ↑ Tfayli, H; Arslanian, S (March 2009). "Pathophysiology of type 2 diabetes mellitus in youth: the evolving chameleon.". Arquivos brasileiros de endocrinologia e metabologia. 53 (2): 165–74. doi:10.1590/s0004-27302009000200008. PMC 2846552 . PMID 19466209. ↑ Imperatore, Giuseppina; Boyle, James P.; Thompson, Theodore J.; Case, Doug; Dabelea, Dana; Hamman, Richard F.; Lawrence, Jean M.; Liese, Angela D.; Liu, Lenna L. (2012-12-01). "Projections of Type 1 and Type 2 Diabetes Burden in the U.S. Population Aged <20 Years Through 2050". Diabetes Care. 35 (12): 2515–2520. doi:10.2337/dc12-0669. ISSN 0149-5992. PMC 3507562 . PMID 23173134. 1 2 3 4 5 6 7 8 9 10 11 12 13 14 15 16 17 18 Williams textbook of endocrinology. (12th ed.). Philadelphia: Elsevier/Saunders. pp. 1371–1435. ISBN 978-1-4377-0324-5. 1 2 Ripoll, Brian C. Leutholtz, Ignacio (2011-04-25). Exercise and disease management (2nd ed.). Boca Raton: CRC Press. p. 25. ISBN 978-1-4398-2759-8. ↑ Zaccardi, F; Webb, DR; Yates, T; Davies, MJ (February 2016). "Pathophysiology of type 1 and type 2 diabetes mellitus: a 90-year perspective.". Postgraduate Medical Journal. 92 (1084): 63–9. doi:10.1136/postgradmedj-2015-133281. PMID 26621825. 1 2 3 4 5 6 7 8 9 10 11 12 Vijan, S (2010-03-02). "Type 2 diabetes". Annals of Internal Medicine. 152 (5): ITC31–15; quiz ITC316. doi:10.7326/0003-4819-152-5-201003020-01003. PMID 20194231. 1 2 3 4 5 6 7 8 9 10 11 12 Ripsin CM, Kang H, Urban RJ (January 2009). "Management of blood glucose in type 2 diabetes mellitus". Am Fam Physician. 79 (1): 29–36. PMID 19145963. ↑ Pasquier, F (October 2010). "Diabetes and cognitive impairment: how to evaluate the cognitive status?". Diabetes & metabolism. 36 Suppl 3: S100–5. doi:10.1016/S1262-3636(10)70475-4. PMID 21211730. 1 2 Touma, C; Pannain, S (August 2011). "Does lack of sleep cause diabetes?". Cleveland Clinic journal of medicine. 78 (8): 549–58. doi:10.3949/ccjm.78a.10165. PMID 21807927. ↑ Christian, P; Stewart, CP (March 2010). "Maternal micronutrient deficiency, fetal development, and the risk of chronic disease". The Journal of Nutrition. 140 (3): 437–45. doi:10.3945/jn.109.116327. PMID 20071652. ↑ Abdullah, A; Peeters, A; de Courten, M; Stoelwinder, J (September 2010). "The magnitude of association between overweight and obesity and the risk of diabetes: a meta-analysis of prospective cohort studies.". Diabetes research and clinical practice. 89 (3): 309–19. doi:10.1016/j.diabres.2010.04.012. PMID 20493574. ↑ Pan, A; Wang, Y; Talaei, M; Hu, FB; Wu, T (17 September 2015). "Relation of active, passive, and quitting smoking with incident type 2 diabetes: a systematic review and meta-analysis.". The Lancet. 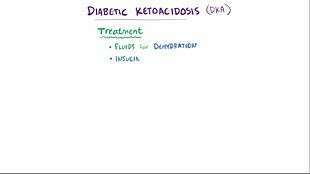 Diabetes & endocrinology. 3: 958–67. doi:10.1016/S2213-8587(15)00316-2. PMID 26388413. 1 2 Malik, VS; Popkin, BM; Bray, GA; Després, JP; Hu, FB (2010-03-23). "Sugar Sweetened Beverages, Obesity, Type 2 Diabetes and Cardiovascular Disease risk". Circulation. 121 (11): 1356–64. doi:10.1161/CIRCULATIONAHA.109.876185. PMC 2862465 . PMID 20308626. ↑ Malik, VS; Popkin, BM; Bray, GA; Després, JP; Willett, WC; Hu, FB (November 2010). "Sugar-Sweetened Beverages and Risk of Metabolic Syndrome and Type 2 Diabetes: A meta-analysis". Diabetes Care. 33 (11): 2477–83. doi:10.2337/dc10-1079. PMC 2963518 . PMID 20693348. ↑ Hu, EA; Pan, A; Malik, V; Sun, Q (2012-03-15). "White rice consumption and risk of type 2 diabetes: meta-analysis and systematic review". BMJ (Clinical research ed.). 344: e1454. doi:10.1136/bmj.e1454. PMC 3307808 . PMID 22422870. ↑ Lind, L; Lind, PM (Jun 2012). "Can persistent organic pollutants and plastic-associated chemicals cause cardiovascular disease?". Journal of internal medicine. 271 (6): 537–53. doi:10.1111/j.1365-2796.2012.02536.x. PMID 22372998. 1 2 Herder, C; Roden, M (June 2011). "Genetics of type 2 diabetes: pathophysiologic and clinical relevance". European journal of clinical investigation. 41 (6): 679–92. doi:10.1111/j.1365-2362.2010.02454.x. PMID 21198561. ↑ "Monogenic Forms of Diabetes: Neonatal Diabetes Mellitus and Maturity-onset Diabetes of the Young". National Diabetes Information Clearinghouse (NDIC). National Institute of Diabetes and Digestive and Kidney Diseases, NIH. March 2007. Retrieved 2008-08-04. 1 2 Bethel, edited by Mark N. Feinglos, M. Angelyn (2008). Type 2 diabetes mellitus: an evidence-based approach to practical management. Totowa, NJ: Humana Press. p. 462. ISBN 978-1-58829-794-5. ↑ Izzedine, H; Launay-Vacher, V; Deybach, C; Bourry, E; Barrou, B; Deray, G (November 2005). "Drug-induced diabetes mellitus". Expert opinion on drug safety. 4 (6): 1097–109. doi:10.1517/14740338.4.6.1097. PMID 16255667. ↑ Sampson, UK; Linton, MF; Fazio, S (July 2011). "Are statins diabetogenic?". Current Opinion in Cardiology. 26 (4): 342–7. doi:10.1097/HCO.0b013e3283470359. PMC 3341610 . PMID 21499090. ↑ Saad F, Gooren L (March 2009). "The role of testosterone in the metabolic syndrome: a review". The Journal of Steroid Biochemistry and Molecular Biology. 114 (1–2): 40–3. doi:10.1016/j.jsbmb.2008.12.022. PMID 19444934. ↑ Farrell JB, Deshmukh A, Baghaie AA (2008). "Low testosterone and the association with type 2 diabetes". The Diabetes Educator. 34 (5): 799–806. doi:10.1177/0145721708323100. PMID 18832284. ↑ World Health Organization. "Definition, diagnosis and classification of diabetes mellitus and its complications: Report of a WHO Consultation. Part 1. Diagnosis and classification of diabetes mellitus". Retrieved 2007-05-29. 1 2 3 International Expert, Committee (July 2009). "International Expert Committee report on the role of the A1C assay in the diagnosis of diabetes". Diabetes Care. 32 (7): 1327–34. doi:10.2337/dc09-9033. PMC 2699715 . PMID 19502545. ↑ "Diagnosis and classification of diabetes mellitus". Diabetes Care. American Diabetes Association. 33 Suppl 1 (Supplement_1): S62–9. January 2010. doi:10.2337/dc10-S062. PMC 2797383 . PMID 20042775. ↑ "Diagnosis and classification of diabetes mellitus". Diabetes Care. American Diabetes Association. 35 Suppl 1 (Suppl 1): S64–71. January 2012. doi:10.2337/dc12-s064. PMC 3632174 . PMID 22187472. ↑ Kumar, Vinay; Fausto, Nelson; Abbas, Abul K.; Cotran, Ramzi S.; Robbins, Stanley L. (2005). Robbins and Cotran Pathologic Basis of Disease (7th ed.). Philadelphia, Pa.: Saunders. pp. 1194–1195. ISBN 0-7216-0187-1. ↑ Mary Lee (2013). Basic Skills in Interpreting Laboratory Data. ASHP. pp. Chapter 13. ISBN 9781585283453. 1 2 Valdez R (2009). "Detecting Undiagnosed Type 2 Diabetes: Family History as a Risk Factor and Screening Tool". J Diabetes Sci Technol. 3 (4): 722–6. doi:10.1177/193229680900300417. PMC 2769984 . PMID 20144319. ↑ Selph, S; Dana, T; Blazina, I; Bougatsos, C; Patel, H; Chou, R (14 April 2015). "Screening for Type 2 Diabetes Mellitus: A Systematic Review for the U.S. Preventive Services Task Force.". Annals of Internal Medicine. 162: 765–76. doi:10.7326/M14-2221. PMID 25867111. 1 2 "Screening: Type 2 Diabetes Mellitus in Adults". U.S. Preventive Services Task Force. 2008. Retrieved 2014-03-16. ↑ Selph, S; Dana, T; Blazina, I; Bougatsos, C; Patel, H; Chou, R (2 June 2015). "Screening for type 2 diabetes mellitus. a systematic review for the u.s. Preventive services task force.". Annals of Internal Medicine. 162 (11): 765–76. doi:10.7326/M14-2221. PMID 25867111. ↑ Siu, AL (27 October 2015). "Screening for Abnormal Blood Glucose and Type 2 Diabetes Mellitus: U.S. Preventive Services Task Force Recommendation Statement.". Annals of Internal Medicine. 163: 861–8. doi:10.7326/M15-2345. PMID 26501513. ↑ "Draft Recommendation Statement Screening for Abnormal Glucose and Type 2 Diabetes Mellitus". uspreventiveservicestaskforce.org/. Retrieved 7 October 2014. 1 2 "Standards of Medical Care in Diabetes—2015: Summary of Revisions". Diabetes Care. 54 (38): S4. 2015. doi:10.2337/dc15-S003. PMID 25537706. ↑ Raina Elley C, Kenealy T (December 2008). "Lifestyle interventions reduced the long-term risk of diabetes in adults with impaired glucose tolerance". Evid Based Med. 13 (6): 173. doi:10.1136/ebm.13.6.173. PMID 19043031. 1 2 Schellenberg, ES. ; Dryden, DM. ; Vandermeer, B.; Ha, C.; Korownyk, C. (October 2013). "Lifestyle Interventions for Patients With and at Risk for Type 2 Diabetes: A Systematic Review and Meta-analysis". Ann Intern Med. 159 (8): 543–51. doi:10.7326/0003-4819-159-8-201310150-00007. PMID 24126648. ↑ O'Gorman, DJ; Krook, A (September 2011). "Exercise and the treatment of diabetes and obesity". The Medical clinics of North America. 95 (5): 953–69. doi:10.1016/j.mcna.2011.06.007. PMID 21855702. ↑ Carter, P; Gray, LJ; Troughton, J; Khunti, K; Davies, MJ (2010-08-18). "Fruit and vegetable intake and incidence of type 2 diabetes mellitus: systematic review and meta-analysis". BMJ (Clinical research ed.). 341: c4229. doi:10.1136/bmj.c4229. PMC 2924474 . PMID 20724400. ↑ Santaguida PL, Balion C, Hunt D, et al. (August 2005). "Diagnosis, prognosis, and treatment of impaired glucose tolerance and impaired fasting glucose" (PDF). Evid Rep Technol Assess (Summ) (128): 1–11. PMID 16194123. ↑ Seida, Jennifer C.; Mitri, Joanna; Colmers, Isabelle N.; Majumdar, Sumit R.; Davidson, Mayer B.; Edwards, Alun L.; Hanley, David A.; Pittas, Anastassios G.; Tjosvold, Lisa; Johnson, Jeffrey A. (Oct 2014). "Effect of Vitamin D3 Supplementation on Improving Glucose Homeostasis and Preventing Diabetes: A Systematic Review and Meta-Analysis". The Journal of Clinical Endocrinology & Metabolism. 99 (10): 3551–3560. doi:10.1210/jc.2014-2136. PMC 4483466 . PMID 25062463. 1 2 "Type 2 diabetes: The management of type 2 diabetes". May 2009. ↑ Farmer, AJ; Perera, R; Ward, A; Heneghan, C; Oke, J; Barnett, AH; Davidson, MB; Guerci, B; Coates, V; Schwedes, U; O'Malley, S (27 February 2012). "Meta-analysis of individual patient data in randomised trials of self monitoring of blood glucose in people with non-insulin treated type 2 diabetes". BMJ (Clinical research ed.). 344: e486. doi:10.1136/bmj.e486. PMID 22371867. ↑ Emdin, CA; Rahimi, K; Neal, B; Callender, T; Perkovic, V; Patel, A (10 February 2015). "Blood pressure lowering in type 2 diabetes: a systematic review and meta-analysis.". JAMA. 313 (6): 603–15. doi:10.1001/jama.2014.18574. PMID 25668264. ↑ McBrien, K; Rabi, DM; Campbell, N; Barnieh, L; Clement, F; Hemmelgarn, BR; Tonelli, M; Leiter, LA; Klarenbach, SW; Manns, BJ (6 August 2012). "Intensive and Standard Blood Pressure Targets in Patients With Type 2 Diabetes Mellitus: Systematic Review and Meta-analysis". Archives of Internal Medicine. 172 (17): 1–8. doi:10.1001/archinternmed.2012.3147. PMID 22868819. ↑ Boussageon, R; Bejan-Angoulvant, T; Saadatian-Elahi, M; Lafont, S; Bergeonneau, C; Kassaï, B; Erpeldinger, S; Wright, JM; Gueyffier, F; Cornu, C (2011-07-26). "Effect of intensive glucose lowering treatment on all cause mortality, cardiovascular death, and microvascular events in type 2 diabetes: meta-analysis of randomised controlled trials". BMJ (Clinical research ed.). 343: d4169. doi:10.1136/bmj.d4169. PMC 3144314 . PMID 21791495. ↑ Webster, MW (July 2011). "Clinical practice and implications of recent diabetes trials". Current Opinion in Cardiology. 26 (4): 288–93. doi:10.1097/HCO.0b013e328347b139. PMID 21577100. 1 2 3 4 Inzucchi, SE; Bergenstal, RM; Buse, JB; Diamant, M; Ferrannini, E; Nauck, M; Peters, AL; Tsapas, A; Wender, R; Matthews, DR (March 2015). "Management of hyperglycaemia in type 2 diabetes, 2015: a patient-centred approach. Update to a Position Statement of the American Diabetes Association and the European Association for the Study of Diabetes.". Diabetologia. 58 (3): 429–42. doi:10.1007/s00125-014-3460-0. PMID 25583541. ↑ Simpson, TC. ; Needleman, I.; Wild, SH. ; Moles, DR.; Mills, EJ. (2010). Simpson, Terry C, ed. "Treatment of periodontal disease for glycaemic control in people with diabetes". Cochrane Database Syst Rev (5): CD004714. doi:10.1002/14651858.CD004714.pub2. PMID 20464734. 1 2 3 Zanuso S, Jimenez A, Pugliese G, Corigliano G, Balducci S (March 2010). "Exercise for the management of type 2 diabetes: a review of the evidence". Acta Diabetol. 47 (1): 15–22. doi:10.1007/s00592-009-0126-3. PMID 19495557. 1 2 Davis N, Forbes B, Wylie-Rosett J (June 2009). "Nutritional strategies in type 2 diabetes mellitus". Mt. Sinai J. Med. 76 (3): 257–68. doi:10.1002/msj.20118. PMID 19421969. ↑ Thomas D, Elliott EJ (2009). Thomas, Diana, ed. "Low glycaemic index, or low glycaemic load, diets for diabetes mellitus". Cochrane Database Syst Rev (1): CD006296. doi:10.1002/14651858.CD006296.pub2. PMID 19160276. ↑ Feinman, RD; Pogozelski, WK; Astrup, A; Bernstein, RK; Fine, EJ; Westman, EC; Accurso, A; Frassetto, L; Gower, BA; McFarlane, SI; Nielsen, JV; Krarup, T; Saslow, L; Roth, KS; Vernon, MC; Volek, JS; Wilshire, GB; Dahlqvist, A; Sundberg, R; Childers, A; Morrison, K; Manninen, AH; Dashti, HM; Wood, RJ; Wortman, J; Worm, N (January 2015). "Dietary carbohydrate restriction as the first approach in diabetes management: critical review and evidence base.". Nutrition (Burbank, Los Angeles County, Calif.). 31 (1): 1–13. doi:10.1016/j.nut.2014.06.011. PMID 25287761. ↑ Hawthorne, K.; Robles, Y.; Cannings-John, R.; Edwards, A. G. K.; Robles, Yolanda (2008). Robles, Yolanda, ed. "Culturally appropriate health education for Type 2 diabetes mellitus in ethnic minority groups". Cochrane Database Syst Rev (3): CD006424. doi:10.1002/14651858.CD006424.pub2. PMID 18646153. CD006424. ↑ Glick-Bauer M, Yeh MC (2014). "The health advantage of a vegan diet: exploring the gut microbiota connection". Nutrients (Review). 6 (11): 4822–38. doi:10.3390/nu6114822. PMC 4245565 . PMID 25365383. ↑ Leach, Matthew J.; Kumar, Saravana (2012-09-12). "Cinnamon for diabetes mellitus". The Cochrane Database of Systematic Reviews (9): CD007170. doi:10.1002/14651858.CD007170.pub2. ISSN 1469-493X. PMID 22972104. ↑ Palmer, Suetonia C.; Mavridis, Dimitris; Nicolucci, Antonio; Johnson, David W.; Tonelli, Marcello; Craig, Jonathan C.; Maggo, Jasjot; Gray, Vanessa; De Berardis, Giorgia; Ruospo, Marinella; Natale, Patrizia; Saglimbene, Valeria; Badve, Sunil V.; Cho, Yeoungjee; Nadeau-Fredette, Annie-Claire; Burke, Michael; Faruque, Labib; Lloyd, Anita; Ahmad, Nasreen; Liu, Yuanchen; Tiv, Sophanny; Wiebe, Natasha; Strippoli, Giovanni F. M. (19 July 2016). "Comparison of Clinical Outcomes and Adverse Events Associated With Glucose-Lowering Drugs in Patients With Type 2 Diabetes". JAMA. 316 (3): 313. doi:10.1001/jama.2016.9400. ↑ Boussageon, R; Supper, I; Bejan-Angoulvant, T; Kellou, N; Cucherat, M; Boissel, JP; Kassai, B; Moreau, A; Gueyffier, F; Cornu, C (2012). Groop, Leif, ed. "Reappraisal of metformin efficacy in the treatment of type 2 diabetes: a meta-analysis of randomised controlled trials". PLOS Medicine. 9 (4): e1001204. doi:10.1371/journal.pmed.1001204. PMC 3323508 . PMID 22509138. ↑ Richter, B; Bandeira-Echtler, E; Bergerhoff, K; Clar, C; Ebrahim, SH (18 July 2007). Richter, Bernd, ed. "Rosiglitazone for type 2 diabetes mellitus". The Cochrane database of systematic reviews (3): CD006063. doi:10.1002/14651858.CD006063.pub2. PMID 17636824. ↑ Chen, X; Yang, L; Zhai, SD (December 2012). "Risk of cardiovascular disease and all-cause mortality among diabetic patients prescribed rosiglitazone or pioglitazone: a meta-analysis of retrospective cohort studies". Chinese medical journal. 125 (23): 4301–6. PMID 23217404. ↑ Lv, J; Perkovic, V; Foote, CV; Craig, ME; Craig, JC; Strippoli, GF (12 December 2012). Strippoli, Giovanni FM, ed. "Antihypertensive agents for preventing diabetic kidney disease". The Cochrane database of systematic reviews. 12: CD004136. doi:10.1002/14651858.CD004136.pub3. PMID 23235603. 1 2 Cheng, J; Zhang, W; Zhang, X; Han, F; Li, X; He, X; Li, Q; Chen, J (May 2014). "Effect of angiotensin-converting enzyme inhibitors and angiotensin II receptor blockers on all-cause mortality, cardiovascular deaths, and cardiovascular events in patients with diabetes mellitus: a meta-analysis.". JAMA internal medicine. 174 (5): 773–85. doi:10.1001/jamainternmed.2014.348. PMID 24687000. ↑ Brunström, Mattias; Carlberg, Bo (24 February 2016). "Effect of antihypertensive treatment at different blood pressure levels in patients with diabetes mellitus: systematic review and meta-analyses". BMJ: i717. doi:10.1136/bmj.i717. ↑ Swinnen, SG. ; Simon, AC. ; Holleman, F.; Hoekstra, JB. ; Devries, JH. (2011). Simon, Airin CR, ed. "Insulin detemir versus insulin glargine for type 2 diabetes mellitus". Cochrane Database Syst Rev (7): CD006383. doi:10.1002/14651858.CD006383.pub2. PMID 21735405. ↑ Waugh, N; Cummins, E; Royle, P; Clar, C; Marien, M; Richter, B; Philip, S (July 2010). "Newer agents for blood glucose control in type 2 diabetes: systematic review and economic evaluation". Health technology assessment (Winchester, England). 14 (36): 1–248. doi:10.3310/hta14360. PMID 20646668. ↑ Frachetti, KJ; Goldfine, AB (April 2009). "Bariatric surgery for diabetes management". Current Opinion in Endocrinology, Diabetes and Obesity. 16 (2): 119–24. doi:10.1097/MED.0b013e32832912e7. PMID 19276974. 1 2 Schulman, AP; del Genio, F; Sinha, N; Rubino, F (September–October 2009). ""Metabolic" surgery for treatment of type 2 diabetes mellitus". Endocrine Practice. 15 (6): 624–31. doi:10.4158/EP09170.RAR. PMID 19625245. ↑ Colucci, RA (January 2011). "Bariatric surgery in patients with type 2 diabetes: a viable option". Postgraduate Medicine. 123 (1): 24–33. doi:10.3810/pgm.2011.01.2242. PMID 21293081. ↑ Dixon, JB; le Roux, CW; Rubino, F; Zimmet, P (16 June 2012). "Bariatric surgery for type 2 diabetes". Lancet. 379 (9833): 2300–11. doi:10.1016/S0140-6736(12)60401-2. PMID 22683132. ↑ Rubino, F; Nathan, DM; Eckel, RH; Schauer, PR; Alberti, KG; Zimmet, PZ; Del Prato, S; Ji, L; Sadikot, SM; Herman, WH; Amiel, SA; Kaplan, LM; Taroncher-Oldenburg, G; Cummings, DE; Delegates of the 2nd Diabetes Surgery, Summit (June 2016). "Metabolic Surgery in the Treatment Algorithm for Type 2 Diabetes: A Joint Statement by International Diabetes Organizations.". Diabetes Care. 39 (6): 861–77. doi:10.2337/dc16-0236. PMID 27222544. ↑ Meetoo, D; McGovern, P; Safadi, R (13–27 September 2007). "An epidemiological overview of diabetes across the world". British journal of nursing (Mark Allen Publishing). 16 (16): 1002–7. PMID 18026039. ↑ Abate N, Chandalia M (2001). "Ethnicity and type 2 diabetes: focus on Asian Indians". J. Diabetes Complicat. 15 (6): 320–7. doi:10.1016/S1056-8727(01)00161-1. PMID 11711326. ↑ Carulli, L; Rondinella, S; Lombardini, S; Canedi, I; Loria, P; Carulli, N (November 2005). "Review article: diabetes, genetics and ethnicity". Alimentary pharmacology & therapeutics. 22 Suppl 2: 16–9. doi:10.1111/j.1365-2036.2005.02588.x. PMID 16225465. ↑ Wild S, Roglic G, Green A, Sicree R, King H (May 2004). "Global prevalence of diabetes: estimates for the year 2000 and projections for 2030". Diabetes Care. 27 (5): 1047–53. doi:10.2337/diacare.27.5.1047. PMID 15111519. ↑ "Diabetes Fact sheet N°312". World Health Organization. August 2011. Retrieved 2012-01-09. 1 2 3 4 5 6 7 8 9 editor, Leonid Poretsky, (2009). Principles of diabetes mellitus (2nd ed.). New York: Springer. p. 3. ISBN 978-0-387-09840-1.